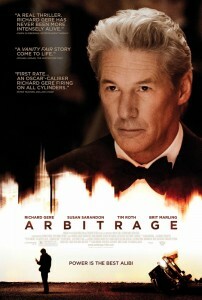 ARBITRAGE Opens September 14! Enter to Win Passes to the St. Louis Advance Screening! 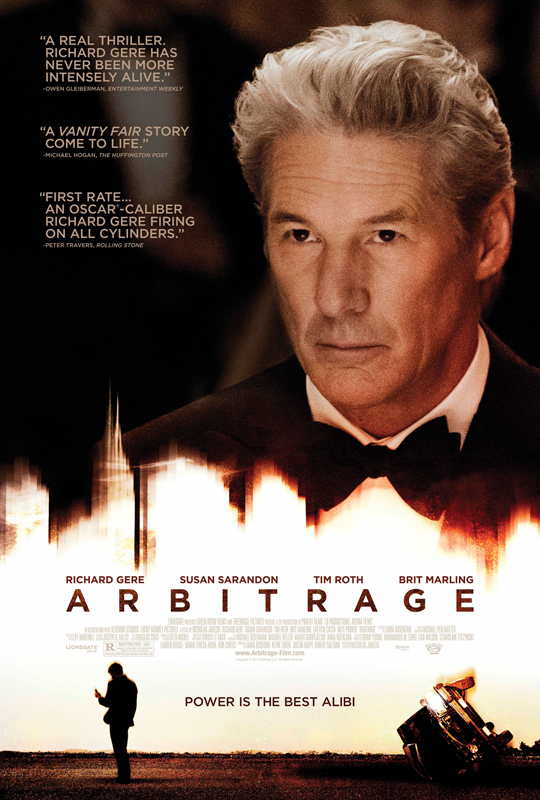 ARBITRAGE, the feature-directing debut of writer Nicholas Jarecki, is a taut and alluring suspense thriller about love, loyalty, and high finance. When we first meet New York hedge-fund magnate Robert Miller (Richard Gere) on the eve of his 60th birthday, he appears the very portrait of success in American business and family life. But behind the gilded walls of his mansion, Miller is in over his head, desperately trying to complete the sale of his trading empire to a major bank before the depths of his fraud are revealed. Struggling to conceal his duplicity from loyal wife Ellen (Susan Sarandon) and brilliant daughter and heir-apparent Brooke (Brit Marling), Miller’s also balancing an affair with French art-dealer Julie Cote (Laetetia Casta). Just as he’s about to unload his troubled empire, an unexpected bloody error forces him to juggle family, business, and crime with the aid of Jimmy Grant (Nate Parker), a face from Miller’s past. One wrong turn ignites the suspicions of NYPD Detective Michael Bryer (Tim Roth), who will stop at nothing in his pursuits. Running on borrowed time, Miller is forced to confront the limits of even his own moral duplicity. Will he make it out before the bubble bursts? Screening will take place 09/10/12 at Plaza Frontenac (7pm).